Centrale Bacolod is the latest residential community rising in the middle of Bacolod City. Please see details below for your reference. Lot Prices: P6,500 to P7,200 per sq. mtr. Location: La Salle Avenue, Barangay Eroreco. Between St. Scholastica’s Academy and Eroreco Subdivision. Residential Lot Sizes: 300 to 900 sq mtrs. Click on the photo below to enlarge the map for printing. You may also email bacolodcentrale@gmail.com for more details and to request for a clearer copy of the site development plan (map). Call +639173040575 to contact a licensed and accredited Centrale Bacolod agent. To see more photos and videos please click the ‘tag cloud’ at the right side bar or the tabs above next to ‘Home’ and ‘About’. Follow this blog or LIKE us on Facebook for updates and convenient access. 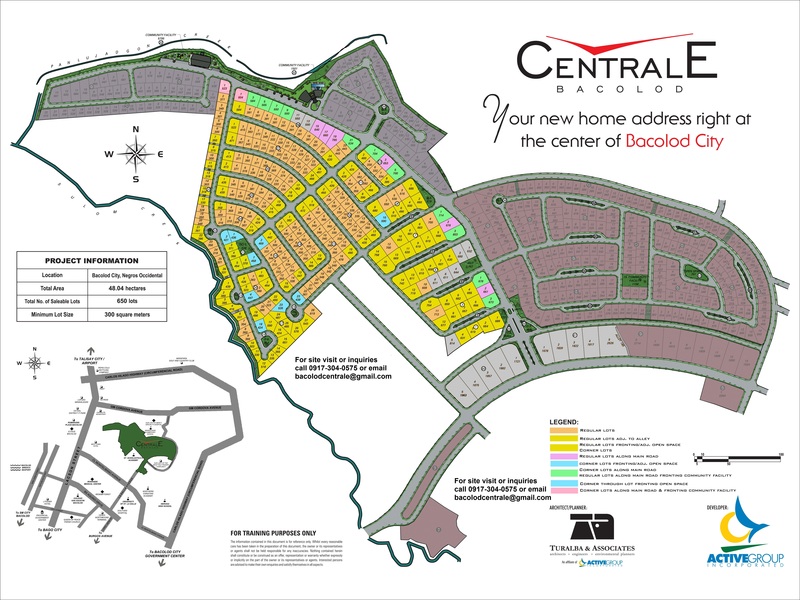 This entry was posted in Centrale Bacolod and tagged Bacolod Centrale lot prices, Bacolod City Lots for Sale, Centrale Bacolod, centrale lots for sale bacolod, Lots for sale Bacolod, Negros Real Estate. Bookmark the permalink.